Pip: Sailor Hellsing? Can you be…Integra Van Helsing?! Integra: That’s right. And Sailor Ghoul is Kim. 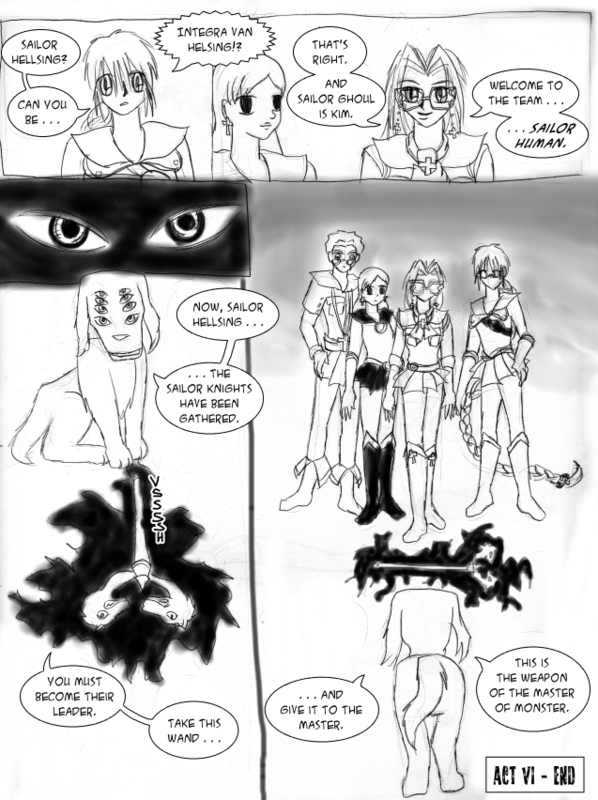 Welcome to the team…Sailor Human. …and give it to the Master. This is the weapon of the Master of Monster.